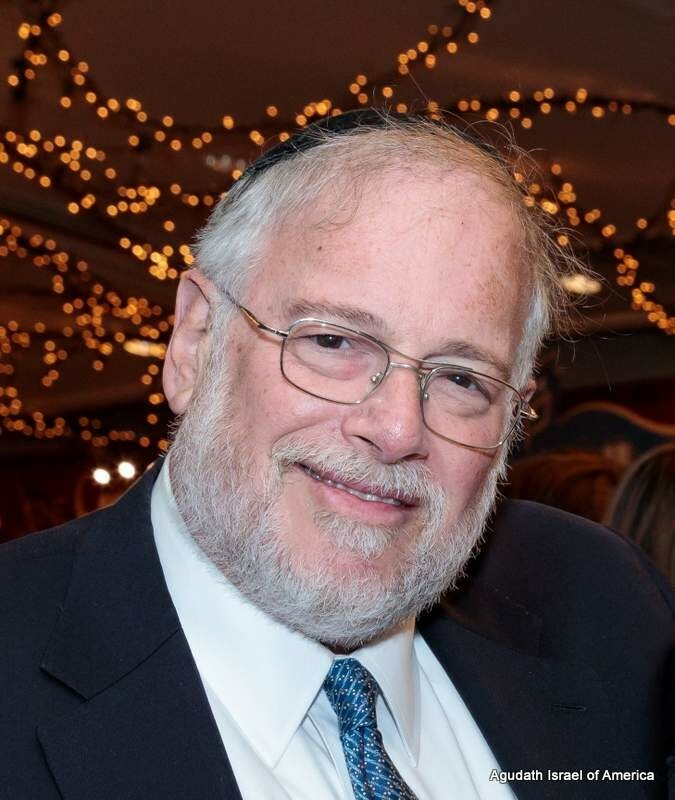 With just weeks left to go until its landmark event of the year, Agudath Israel of America has named Flatbush resident Rivie Schwebel as chairman of the 95th annual Agudah Convention. Never one to pass up an opportunity to serve Klal Yisroel, Reb Rivie’s generosity of spirit has made him an integral part of numerous organizations and community institutions. The theme of this year’s convention, Together We Will, is particularly apropos to Reb Rivie, who leads by example, giving passionately of himself and working closely with others at every turn. Reb Rivie’s generations-long connection to the Agudah extends back to the close personal relationship his father Reb Aaron Schwebel z’l shared with Rabbi Moshe Sherer z’l. Reb Aaron Schwebel was an active member of Agudath Israel of America for decades and served as the ba’al tefila for the Yomim Noraim at the 14th Avenue Agudah where Rabbi Sherer davened for many years. His wife, Mrs. Rochel Schwebel tblc’t, encouraged her children to become actively involved in the Agudah, with all three Schwebel brothers raised in a culture that was deeply steeped in Agudah values and ideology. Reb Aaron Schwebel’s legacy continues to burn brightly at the Agudah offices with Rivie Schwebel following in his father’s footsteps. 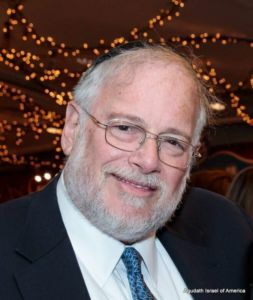 As a member of the Agudah’s board of trustees, Reb Rivie is heavily involved in several Agudath Israel programs, including the Yeshiva Services division. He became an outspoken advocate for Chayim Aruchim, the Agudah’s end of life division, after his father’s petira five years ago and, together with his mother and siblings, dedicated the Avodas Aharon beis medrash at the Agudah’s 42 Broadway offices l’iluy nishmas his father. Hailing from a family gifted with immense musical talent, Reb Rivie first began davening for the amud on the Yomim Noraim after his father’s passing, and like his father before him, he is accompanied by his sons and grandsons who stand directly behind him as he serves as the shaliach tzibur. Blessed with one of the most unique voices in the Jewish music world, Reb Rivie’s vocals have enhanced countless albums and concerts for more than four decades. Reb Rivie is known throughout the Jewish community for his unassuming nature, his gentle personality, his willingness to help anyone in need and his preference for getting things done with little fanfare. Never one to look for accolades or recognition, Reb Rivie’s donations of his time and financial support are typically done under the radar and always with his trademark smile. A talmid of Rabbi Chaim Pinchas Scheinberg of Yeshiva Torah Ore, Reb Rivie maintains close relationships with numerous rabbonim, many of whom have been frequent guests at the Schwebel home. He and his wife Leba, a well known speaker whose warmth and wisdom have earned her a loyal following, are the parents of seven children and have been blessed with numerous grandchildren ka’h. Due to popular request, the Agudah Convention will once again be held on Thanksgiving weekend, Thursday, November 23rd through Sunday, November 26th, at the Crowne Plaza Stamford. For reservations or more information call 212-797-7380, email convention@agudathisrael.org or visit the convention website online at www.agudahconvention.org.